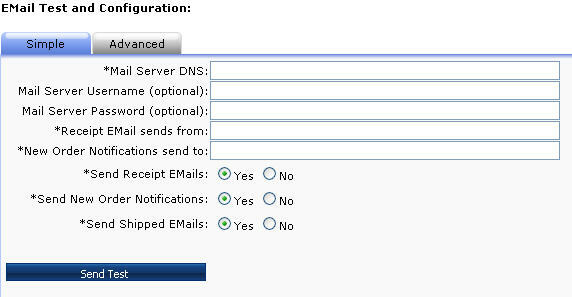 From the Configuration menu, click Email. 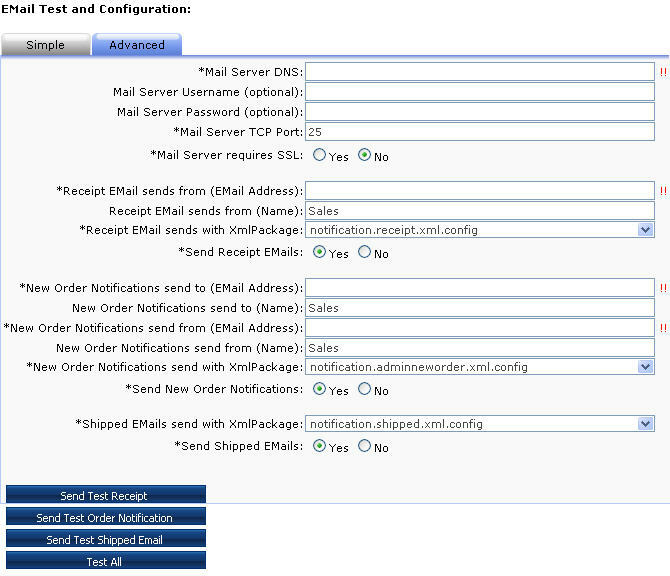 On the Simple tab, simply fill in the few values listed and click 'Send Test' and the software will try to send 3 emails - a receipt, an admin notification, and a shipping notification. The software will use the default values for all settings except the ones you specify.